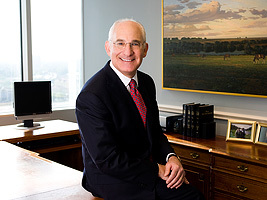 For over 40 years, Joseph M.“Pepe” Schwartz has practiced in the area of public finance and local government law, specifically representing municipal utility districts and other special districts, both as bond counsel and general counsel. His extensive experience includes representing commercial and residential real estate developers, both in the formation of special districts and in matters coming before districts. Pepe has been substantially involved in state legislative matters and rulemaking matters with state agencies that regulate special districts, including the Texas Commission on Environmental Quality. Since 1987, Pepe has served as Vice President of the Utility District Advisory Corporation, created to advance the interests of utility districts by developing and advocating change in regulatory and legislative policy concerning utility districts, and developing a consensus on other public policy issues affecting utility districts. Prior to the formation of Schwartz, Page & Harding in 1988, Pepe was a founding partner of its predecessor, Schwartz & Hickey, a firm which also focused on legal representation for municipal utility districts, special districts and related clients. A native of Eagle Pass, Texas, Pepe was admitted to the State Bar of Texas in 1973 and is licensed to practice in all Texas state courts.